Inaugural Poster Exhibit - Join Us! Interested in Globalization and Health? Thinking of studying abroad in Ghana? 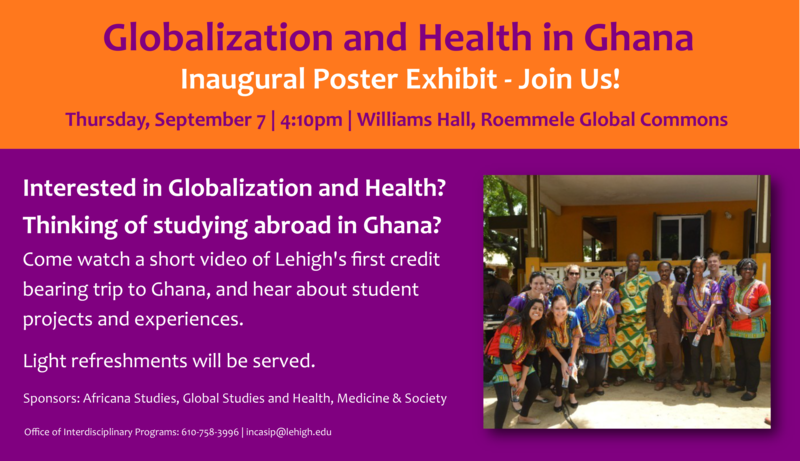 Come watch a short video of Lehigh's first credit bearing trip to Ghana, and hear about student projects and experiences.